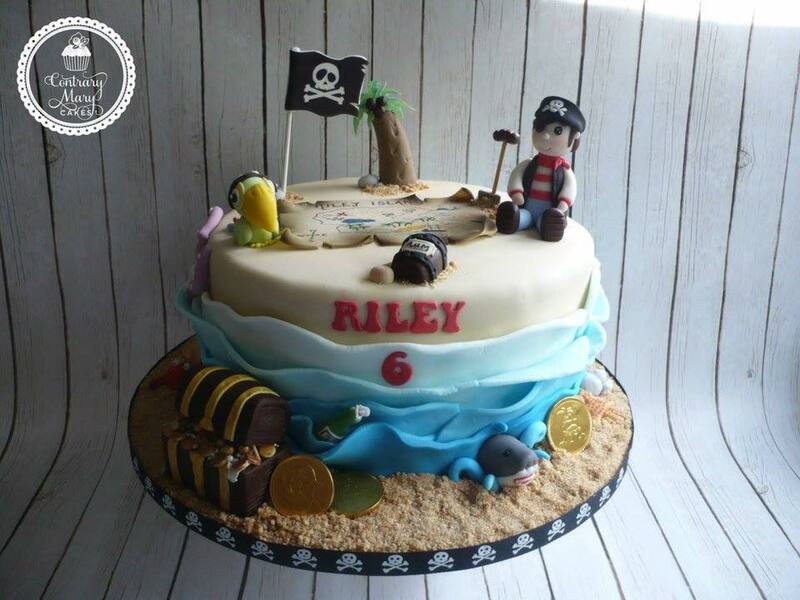 Birthday parties are a lot of fun and I don’t think that there is a child or adult who wouldn’t love a pirate party! Maybe it’s the whole “Ahoy Matey” thing or just the fact that everyone can run around waving swords at one another! 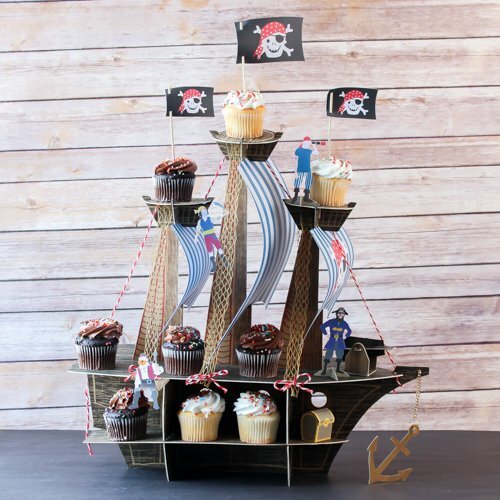 It doesn’t matter if the birthday party is for a girl or a boy either, because there are so many pirate options available and each party can be customized accordingly. As with any birthday party, the first thing that needs to be done is sending out invitations. 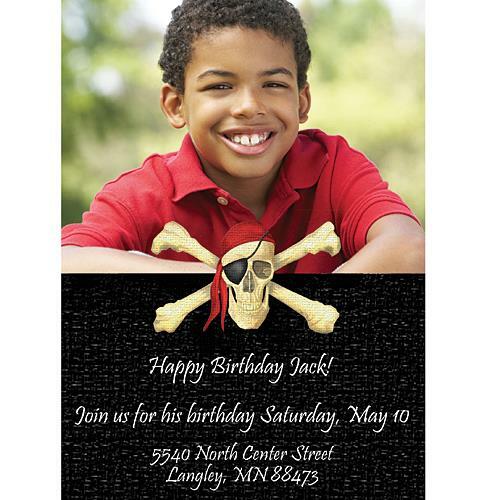 These Pirate Crossbones Personalized Photo Invitations are the perfect solution for this party theme. All you need to do is place the order once you have filled out the personalized information and chosen the size of the invitation. After receiving the invitations in the mail, you can send them out immediately to all of your party guests. Every party needs cups, plates, tablecloths, napkins and silverware and thankfully it is really easy to find pirate themes for these items. A birthday boy will absolutely love these Pirate Skull and Swords party supplies and girls will be thrilled that pink is included in these Preppy Pirate party supplies. The best part is that all of the paper supply items can be purchased with the same theme, so there won’t be any concerns of trying to find matching colors. 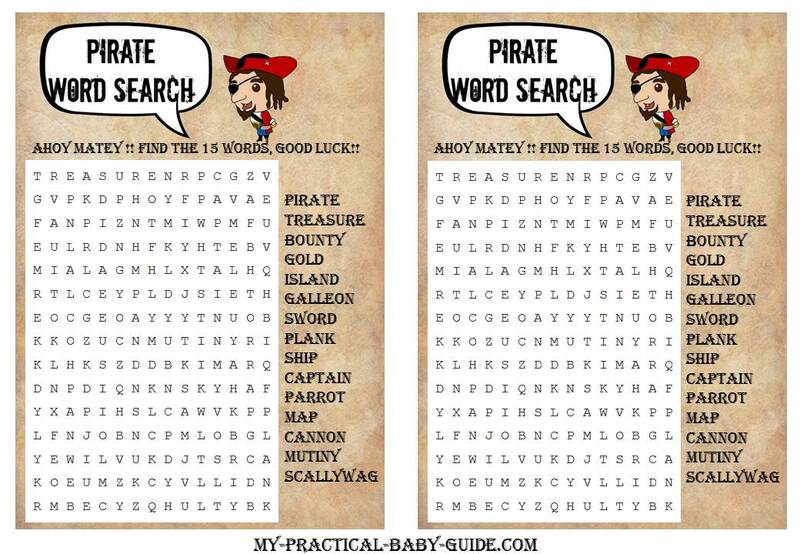 The Pirate Birthday Theme Printable Set is an easy and affordable way to add more flair to any birthday party. This set includes pirate flags, thank you tags, circle tags, food tent cards, bottle labels and cupcake wrappers. Imagine the excitement as kids realize they can drink their very own “Pirate Juice” when you wrap a bottle label around a juice box! 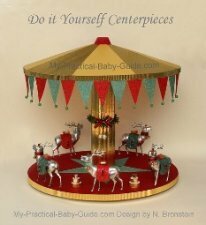 No party would be complete without a centerpiece or two and this Pirate Party Centerpiece will get rave reviews from all of the guests. 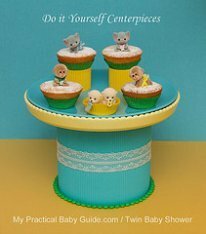 The centerpiece looks like a pirate ship and can hold cupcakes or other items. 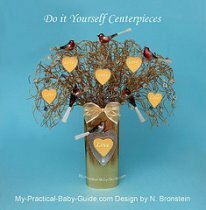 It will also look wonderful even if there is nothing on it and it is just used as the main décor on the table that has the food on it. 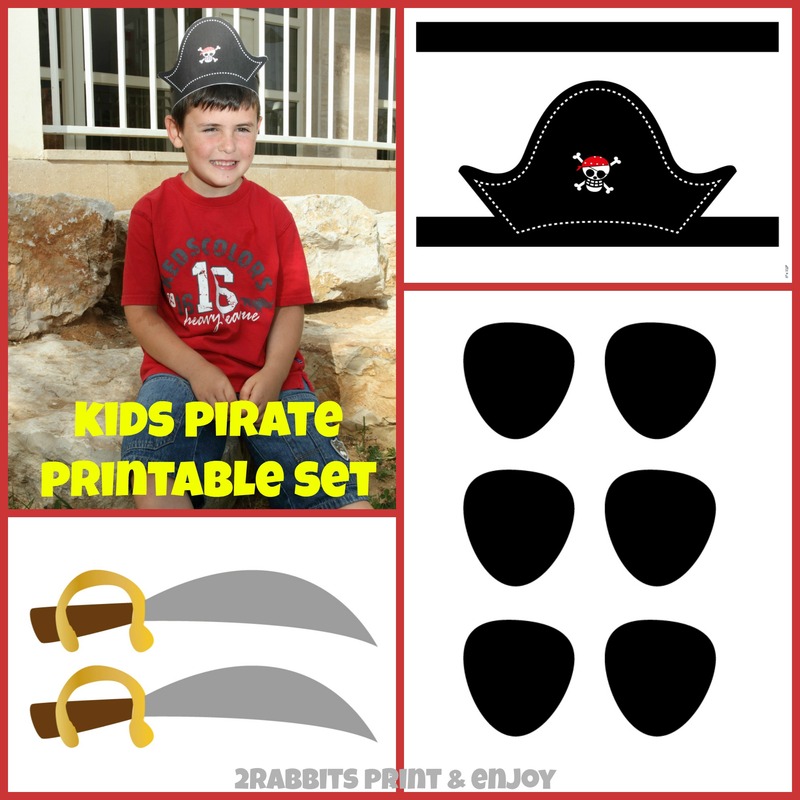 Everyone at the party needs to look and feel like a pirate and that can be done with this Pirate Hat, Eye Patch and Sword Printable Set. 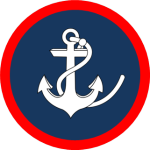 You will be able to print out as many pirate hats, eye patches and swords as you will need, so that every party guest looks like their favorite pirate. 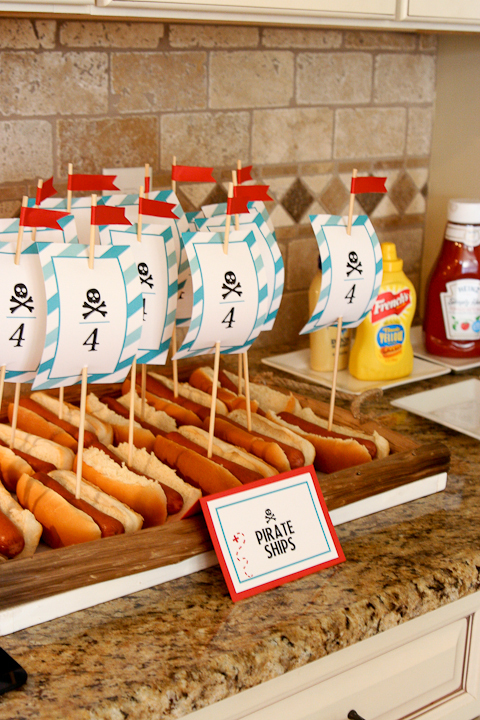 There are so many choices available when it comes to food for a pirate birthday party. All of the kids will love eating their very own pirate ship. All you need to do is place a hot dog in a bun and then stick a skewer in it that has a pirate ship sail on it. Little cocktail wieners turn into dead man’s fingers and a bowl of cut up fruit turns into pirate jewels. 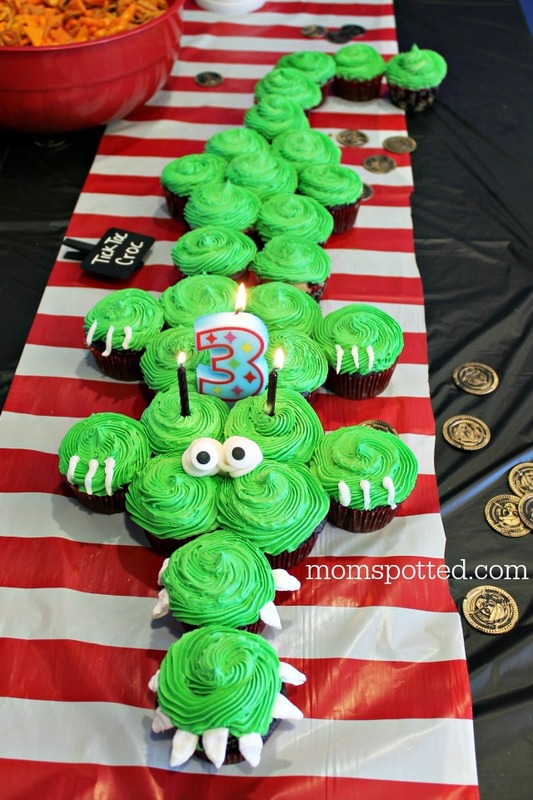 Any bakery can make a delicious pirate birthday cake, but if you want to get really creative, you can always make these Tic Toc Croc Pirate Crocodile Cupcakes. 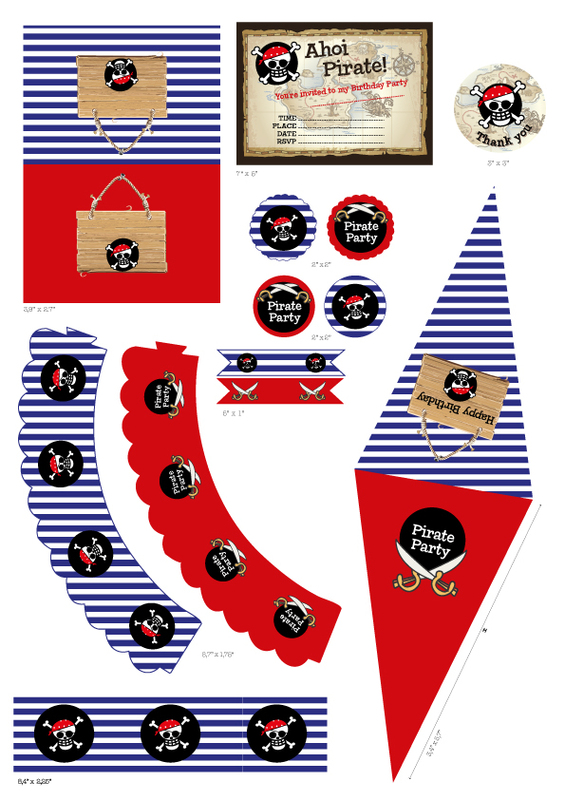 Here is a printable package that we have designed for the Pirate Themed Birthday. When it comes to goody bags, there is nothing better than letting the children create their own. They can all decorate their very own pirate chest that you can then fill with pirate pencils, temporary pirate tattoos and pirate lollipops. 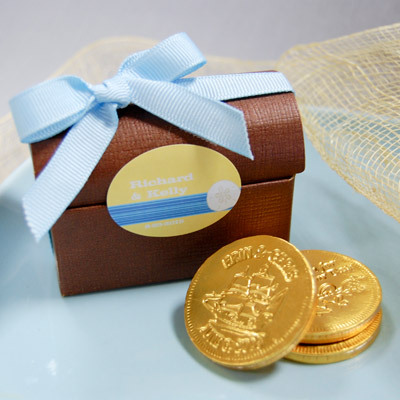 I would like also to recommend on a DIY Treasure Favor Box that is very simple to make and a great idea for pirate themed favors. Head over and check out the tutorial. 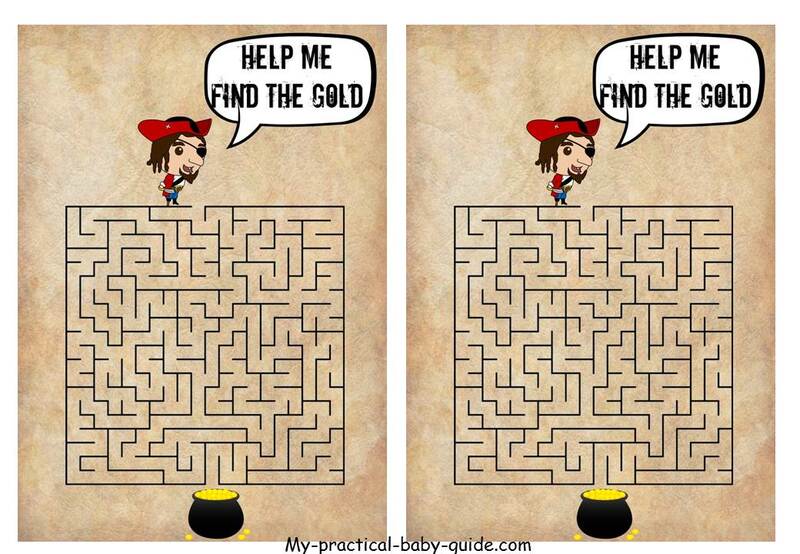 Pirate Birthday Maze... Help me Find the Gold!! Let's make a Pirate can toss game for the pirate party. 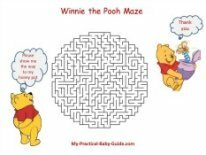 It’s always a fun game and it helps kids developing their throwing skills. Below you will find labels that I have designed especially for the can toss game. Just print the images and wrap your cans. Their size is 12 inch weight and 4.5 inch for the height. You will download a jpg thus you can always resize it for your needs!! 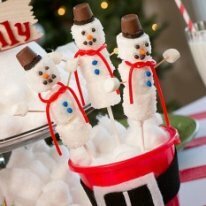 Pirate parties can be very fun and the party items can be found quite easily. So, find your inner pirate and plan the party of a lifetime!